What’s all this sheep talk? 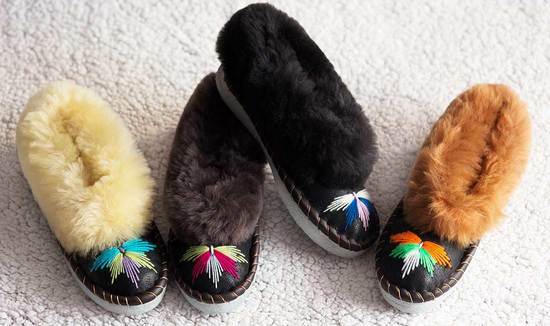 Nicola grew up wearing the cosy slippers – when she visited her family in Poland as a child, the Skowronek's would all wear them to keep warm when the temperature dropped below zero degrees. The slippers always held fond family memories for Nicola, and she had a dream to bring the slippers back with her to London so others can experience the same comfort and quality she experienced as a child, and so Sheepers was born. Today, Nicola is making high-quality comfort available for everyone by making Sheepers affordable, to bring families together. 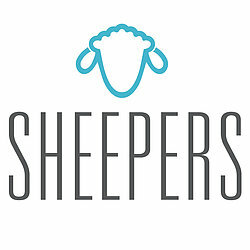 Sheepers are not just a typical online shop, but want to become a part of your family and bring the same love, warmth and care that first inspired the brand. "Lovely! Excellent quality and that wee bit different! They were a present for mum's birthday and she was delighted! Customer service from seller was also excellent. Thank you"
"Really beautiful slippers, well made and comfy. Beautiful things indeed." "Comfortable, pretty, well priced, speedy delivery and a gift with my purchase, will definitely recommend this company and their products"
"These are just the best ever house slippers or more realistically, “house sheepers”! They are very comfy and warm with lots of sheepy wool both inside and round the ankle. I love the colourful stitching on the front; truly bright and original. Regarding size, I first of all bought a size 5 as I have always been a 5, but ive either shrunk my feet or the size 5 is a bit “over generous “. However, Sheepers swap for a size 4 was expedited with the utmost cousy and genuine concern for customer satisfaction. Sheepers is an excellent company to do business with. Thank you Sheeperd!" All orders are shipped via Royal Mail 2nd class recorded delivery. Or if you have chosen the tracked service, within 1 working days. Once payment is received in full and clear with Sheepers, your order will be shipped within 1 working day. WHAT IS THE WARRANTY ON SHEEPERS PRODUCTS? Sheepers provides a manufacturer’s limited warranty against defective materials and workmanship for 30 days from the date of purchase. The warranty does not apply to normal wear or variations in colour. Please Note: Sheepskin is a natural material and is thus subject to slight variations and changes over time. Contact us through our website with subject: “EXCHANGE” and a brief summary. If your exchange is due to sizing, indicate both the size you’re exchanging and the size you’d like to receive. Please test out slippers on a clean surface upon receiving them— All exchanges must be unworn and in the condition they were received. Due to the ethically produced, artisan-made nature of our product, we do not offer refunds. We do, however, offer store credit that can be used at any time. Sheepers do not offer any return labels this is down to you to return them at your cost. WHAT’S THE TIMELINE FOR MY EXCHANGE? 14 days once we receive your original pair of slippers, your selected replacement slippers will ship out!